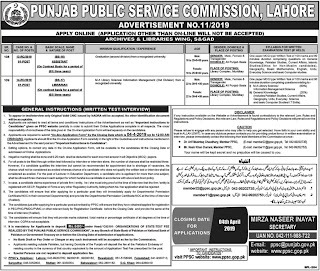 Punjab Public Service Commission PPSC Jobs March 2019 Latest is offered by the organization of Jang Newspaper JobsLatest PPSC JobsPPSC JobsPPSC jobs apply onlinePPSC Jobs TodayPunjab JobsThe Nation Newspaper Jobs. The Working hours for Punjab Public Service Commission PPSC Jobs March 2019 Latest is 8 hours a day and 40 hours a week. So, Punjab Public Service Commission PPSC Jobs March 2019 Latest is a fulltime job. 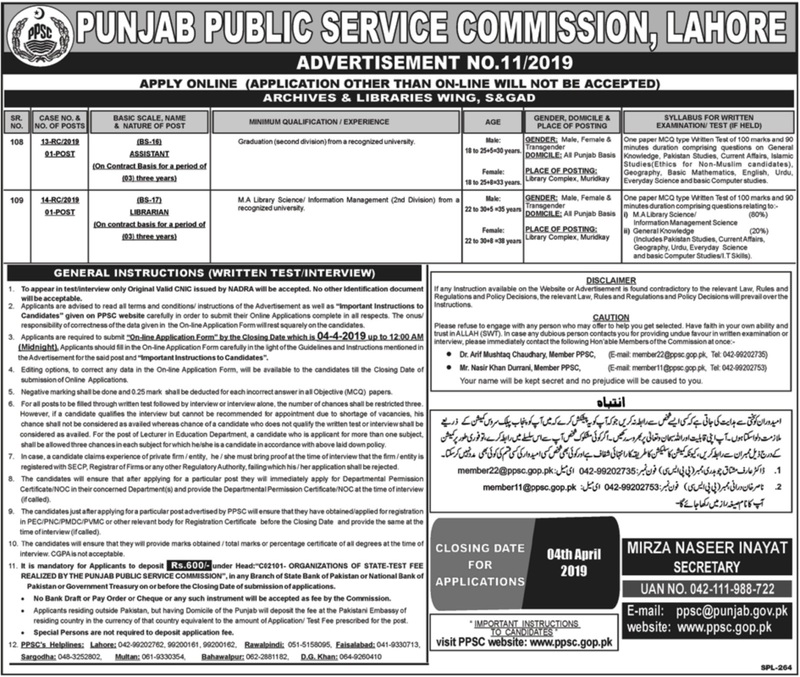 The advertisement of Punjab Public Service Commission PPSC Jobs March 2019 Latest contains complete information about job specifications, job description etc. which is published in Different Newspapers dated March 20, 2019. The attractive Punjab Public Service Commission PPSC Jobs March 2019 Latest are at this page. Many persons will be waiting for this job. The positions of Assistant and Librarian are currently vacant. The job advertisement of PPSC is published in Daily Jang and The Nation dated 20th March 2019. The individuals who meet requisite qualification and experience may submit their applications upto 4th April 2019. The applications must be submitted online as per instructions given in the job advertisement. Visit PPSC website www.ppsc.gop.pk to apply online for vacant posts.